The web server with the IP-address 91.186.30.27 used by Chronicfatiguesyndromesupport.me.uk is run by Simply Transit Ltd and is located in Great Britain. On this web server 45 other websites are hosted. The language of those websites is mostly english. 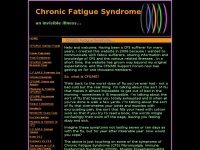 A Apache server hosts the websites of Chronicfatiguesyndromesupport.me.uk. XHTML 1.0 Transitional is used as markup language on the webpages. Indexing the data of the website and following hyperlinks on it is explicitly allowed by robot information. The website contains advertisements by Google Adsense.